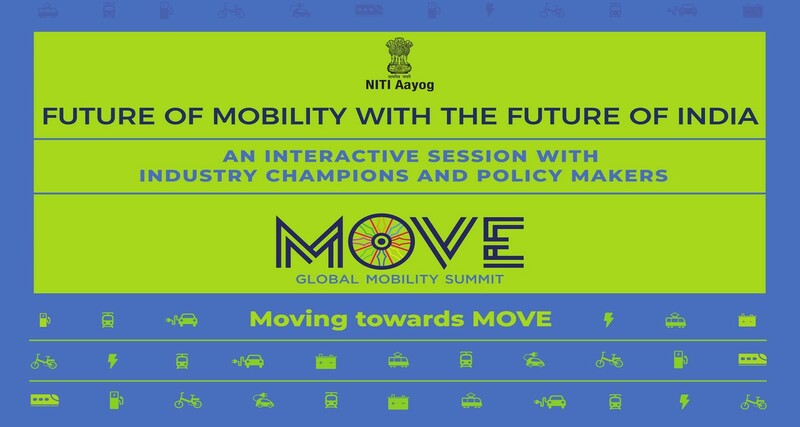 As a run-up to the summit, to promote awareness among the student community on the future mobility solutions, NITI Aayog will hold an interactive session on 'Future of Mobility in India' at IIT Delhi. The session will include policy makers & industry champions wherein panel discussion will be followed by a Q&A session. This discussion will be moderated by Mr. Amitabh Kant, CEO, NITI Aayog. This provides a unique opportunity for the students to participate to hear and interact in person with industry champions like Shri RC Bhargava, Chairman Maruti Suzuki India, Shri Sumit Sahwaney, MD & CEO Renault India Pvt. Ltd., Shri Tarun Mehta, Co-founder & CEO Ather Energy (& others) along with India’s policy makers to understand the emerging opportunities in mobility sector. The registration for Future of Mobility - an Interactive Session is closed now.